MOSCOW, March 1. /TASS/. 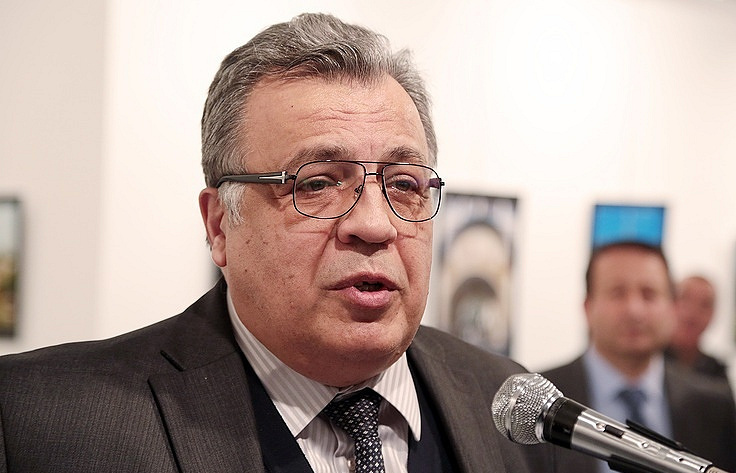 Turkish investigators are close to solving last year’s murder of Russian Ambassador to Turkey Andrei Karlov, said Ilnur Cevik, chief adviser to the Turkish president. "Six people suspected of involvement in this crime have been detained. The perpetrator himself was killed, but we can trace his contacts before the crime. These conversations may be useful for the investigation. Some details of his correspondence have been preserved, and specialists are now analyzing this information, it is serious evidence. I think we will learn the truth very soon," Cevik said in an interview with the Rossiya 24 broadcaster. Russia’s Ambassador to Turkey, Andrei Karlov, was gunned down on December 19, 2016, while delivering a speech at a photo exhibition. According to Turkey’s authorities, the attacker, an off-duty police officer named Mevlut Mert Altintas, was immediately killed by security forces. The Russian Foreign Ministry officially declared the ambassador’s murder a terrorist attack, the Investigative Committee opened a criminal case designating Karlov’s assassination as an act of international terrorism. Andrei Karlov was posthumously awarded the Hero of Russia title.